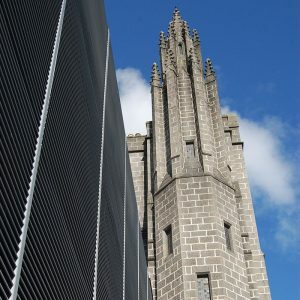 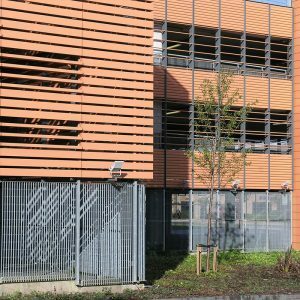 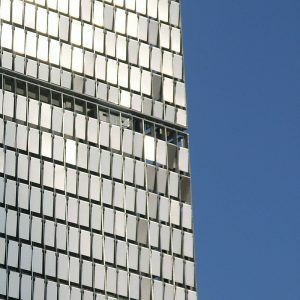 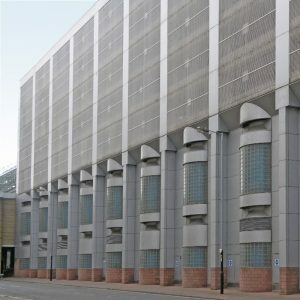 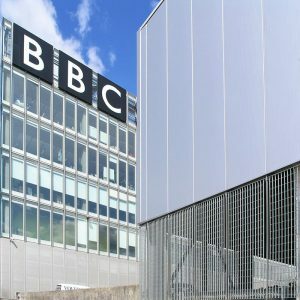 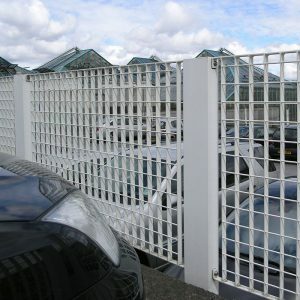 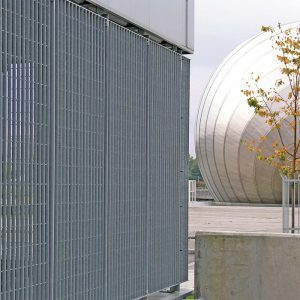 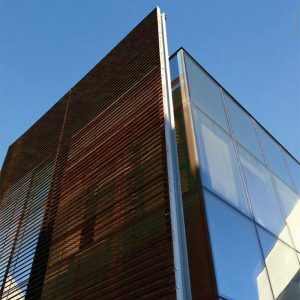 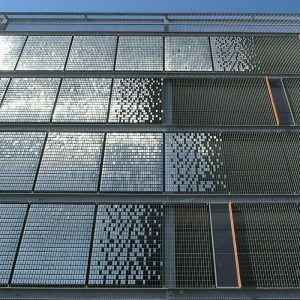 Lang+Fulton are leading suppliers of open mesh and louvre gratings for car parks. 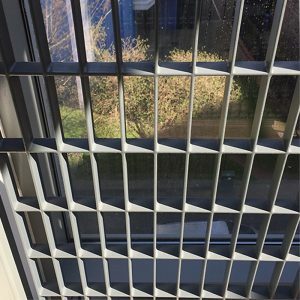 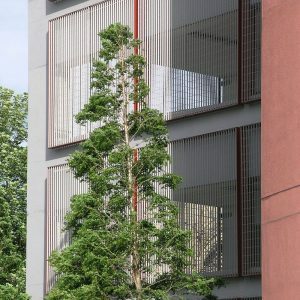 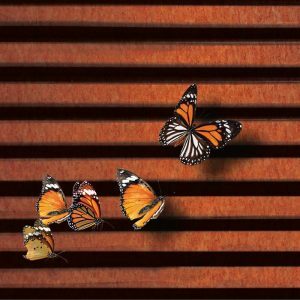 These provide a strong, aesthetic and economical solution for wall cladding and screening where through-ventilation is required. 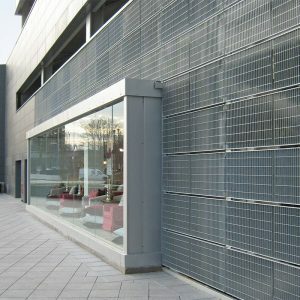 Panels can be designed with alternative styles of frame to create either a visual accent or a continuous screening effect. 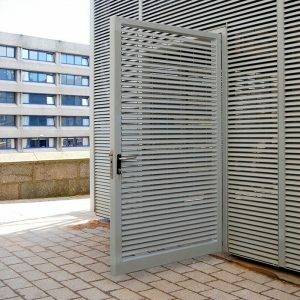 The framed, mild steel panels are supplied fully finished with bracket fixings or holed for bolting into a secondary frame-work. 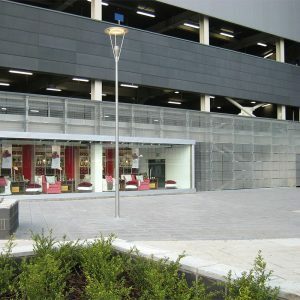 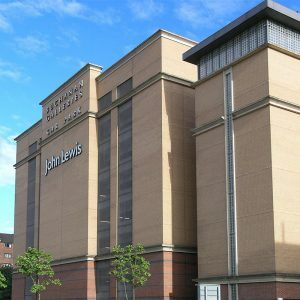 They are supplied in sizes up to 4000x1893mm for covering large openings or surface areas and can be made to accept the horizontal loadings for pedestrian barriers up to a 3m span (BS 6399-1).